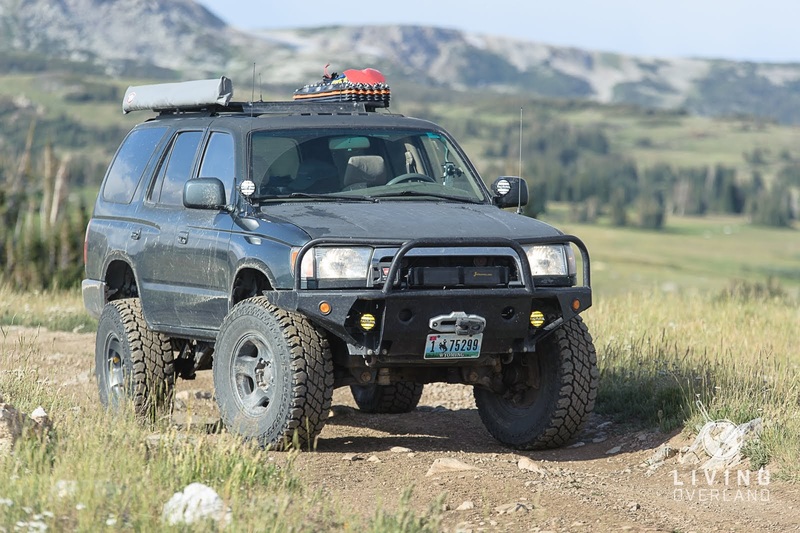 When I began researching lift kit options for our 3rd-generation 4Runner, I came across a couple of forum posts where people had used the front coils from Toyota FZJ80 and Lexus LX450s to lift the rear end of their 4Runners. I am cheap and liked the idea of being able to visit a salvage yard to find parts for the kit. After doing a bit of research and contacting Kurt at Cruiser Outfitters I decided on using the coils from a Lexus LX450. The rear of our 4Runner does not weigh very much without an aftermarket rear bumper, even when loaded with our camping and travel gear. From everything I read, the LX450 coils would provide the height I was looking for without them being too stiff. 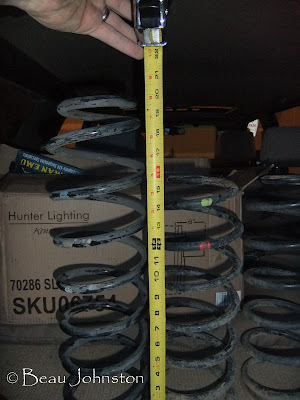 I was lucky, a friend from Boise had been at a salvage yard, looking for parts for his FZJ80 and found the set of 1996 LX450 coils. $50 later, I had the beginnings of my lift. 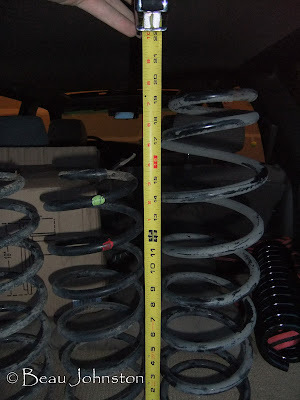 I was able to purchase a new set of Toyota factory FZJ80 shocks from a member on Yotatech.com for cheap. When everything arrived, I was ready to start the installation. 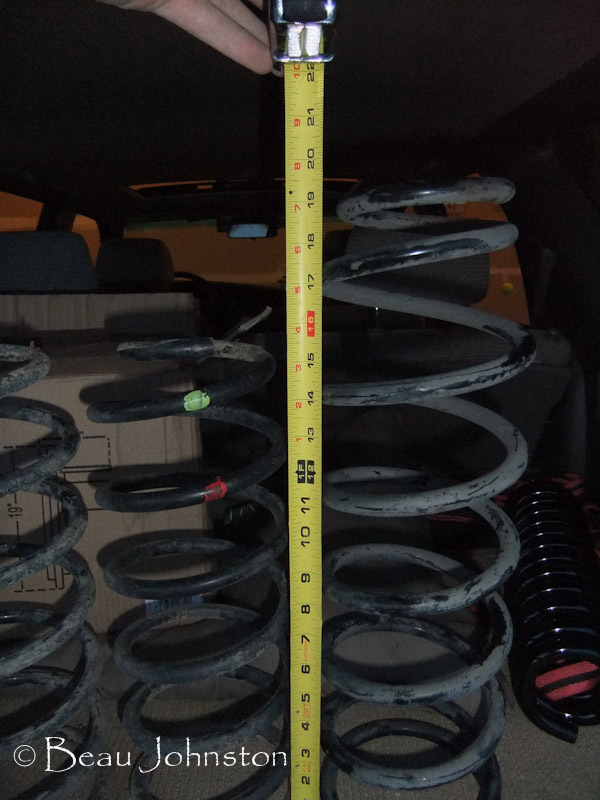 Here you can see the difference between the old factory 4Runner rear coils and the coils from the ’96 LX450. The installation was very straightforward, simply replacing the factory coils and shocks with the taller ones. The only problem I ran into was with the shock bushings. 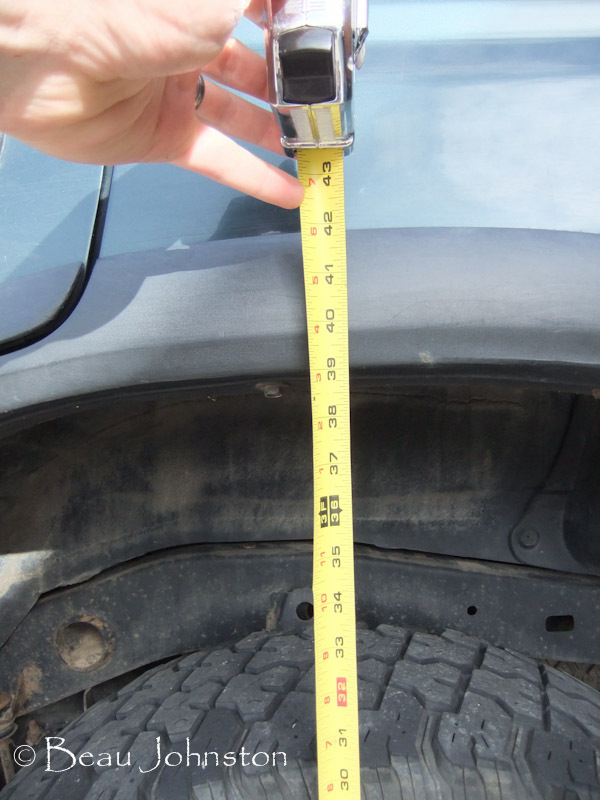 The shock mount studs on the FZJ80 axle must be longer than those on the 4Runner. I was not able to use the bushings that came with the shocks for the installation. 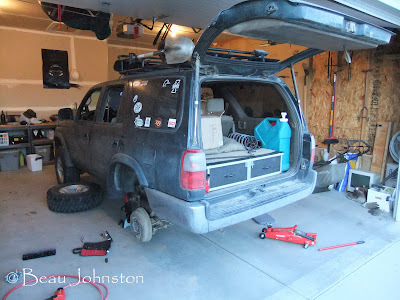 Instead, I was forced to purchase a new set of 4Runner bushings, which are not as wide, to get everything together. 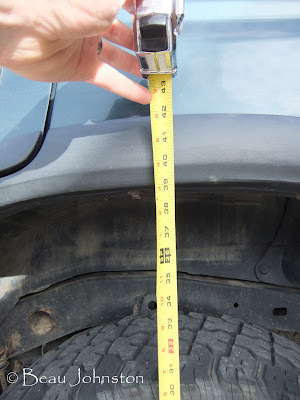 The LX450 coils provided a total lift of 3-1/4", with the fender sitting at 24" from the center of the wheel. After installing the lift, I installed an extended brake line, which you can read about here: Extended rear brake lines. The coils have worked out very well for our needs. The spring rate and added height have been a perfect fit for us. When the 4Runner is loaded down, the body sits nice and level. 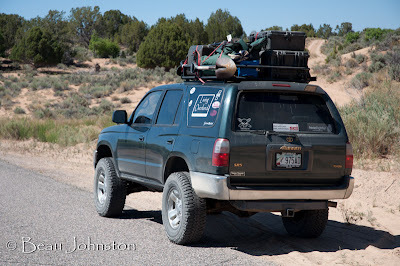 Here we are returning from Overland Expo 2012, sitting nice and level loaded with gear.